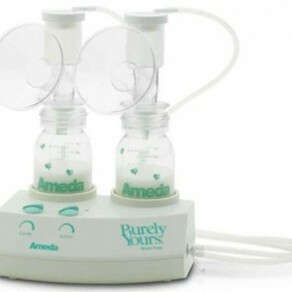 Double electric breast pump, effective for mothers working full-time. Custom Control- Separate suction and cycle dials to help find the settings that work best for you. Easy Care- No need to clean kit tubing. Includes: Purely Yours Breast Pump, Dual HygieniKit Milk Collection System, Bottles with lids, AC Power Adapter, Instructions.